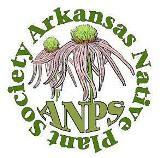 Arkansas Native Plant Society (ANPS) is participating in the Arkansas State Highway and Transportation Department’s (ASHTD) “Adopt A Highway” Program. Signs have been posted on Highway 309 between Paris and Mt. Magazine (Logan County). Jeanette and I walk daily along Highway 309 (and County roads) for exercise and to enjoy Nature. 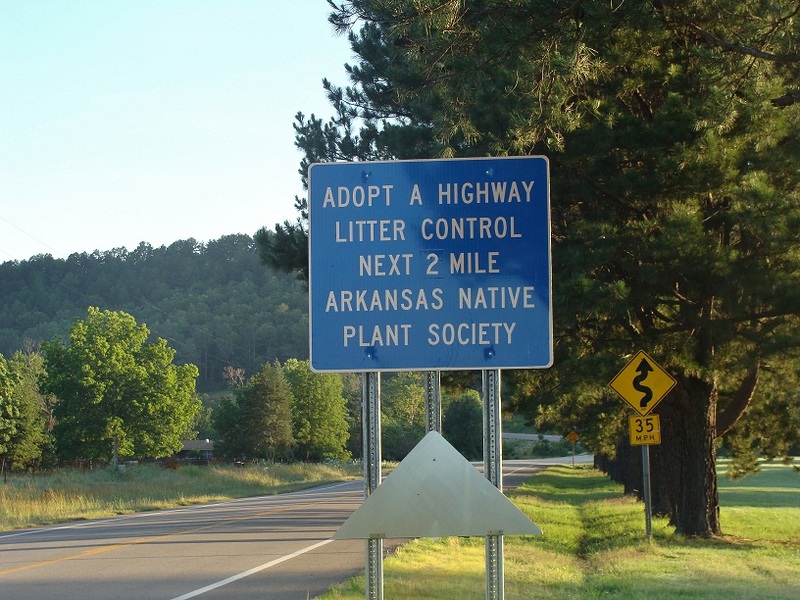 Along Highway 309, litter was a significant visual problem due to litter being trapped between concrete barricades and due to home owners mowing the right-of-way (and of course, due to those horrible Litter Bugs we saw portrayed on highway signs of yesteryear). We contacted the Adopt A Highway Program and, with ANPS’s President’s (Eric Sundell) authorization, adopted a mile for ANPS. A short time later, we adopted an adjoining mile and signs were moved and changed (Photo 1: Oops! No “s” on “mile”). After the initial clean up, we routinely pick up at least four grocery-size plastic bags each week-end. 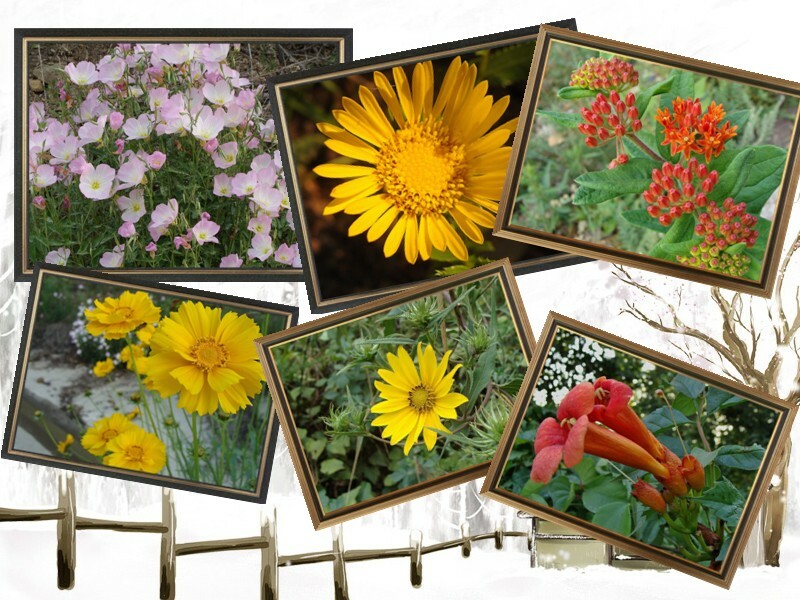 Native plants we see along the highway include Showy Evening Primrose, Narrow Leaf Gum Plant, Butterfly Milkweed, Lance-Leaf Coreopsis, Woodland Sunflower and Trumpet Creeper. In case other ANPS Members are interested in adopting, ASHTD asks that an adoption be for at least one year and that at least four pick-ups be done per year. A post-card report is filed quarterly with the ASHTD Public Affairs Office. If anyone would like additional information, contact ASHTD’s District near you. This entry was posted in Volunteers and tagged Litter Bugs, volunteer. Bookmark the permalink.